I sprang from my bed to see who was such a brat. "Now, One! now, Duella! now Bosco and Texas! You're all going to dance on my solar plexus!" "HEAVY, let us OUT, we've earned our champagne!" "Oh but that was a lie, now you all must dance again!" Said Heavy "I'm your captor, not a comedienne." I'm sorry to report that the menace known as Heavy Scene Macaque has escape custody and is now roaming the countryside taking young innocent queens and forcing them to perform her sick, twisted mixes. Join us at Kremwerk for the first ever Captive Christmas with hosted by Heavy with some special guests who really deserve some rest (they're not gonna get it). The special guests have given Heavy a couple hints as to what they want to perform and she has completely disregarded that criteria and made them mixes they'll be ashamed to have agreed to. 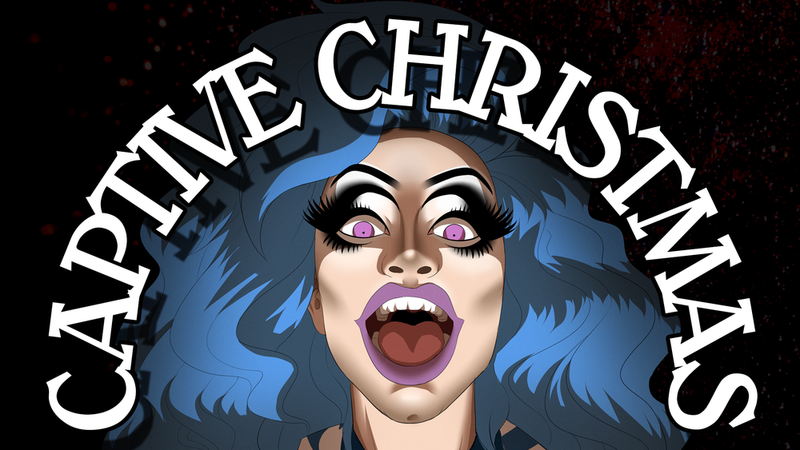 The only way to stop this sick queen's reign of terror is to come witness it in person on Saturday December 22nd at KREMWERK!